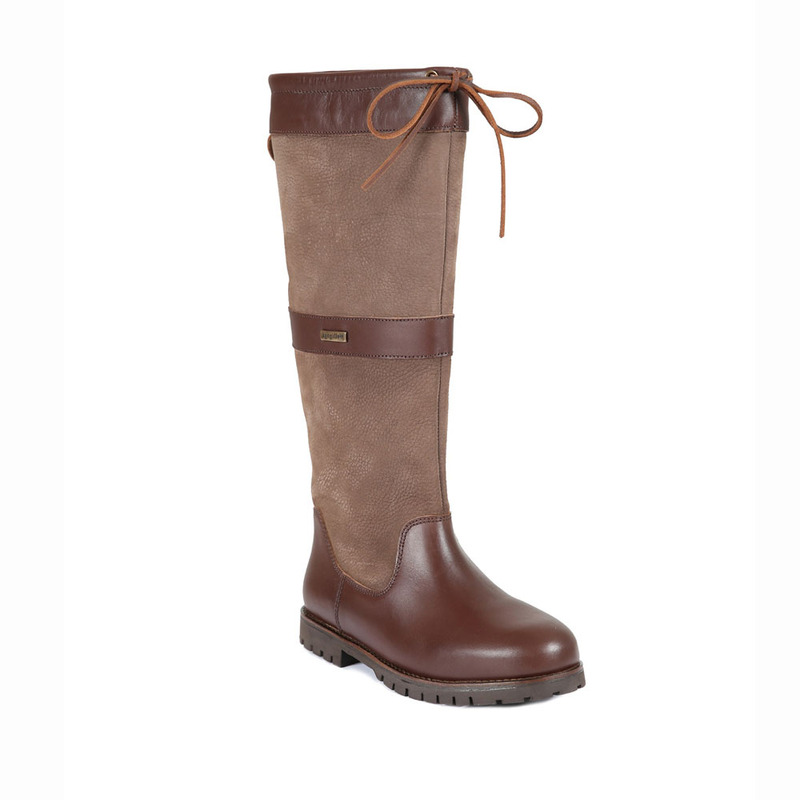 With a combination of high quality leather & nu-buck these classic Welligogs boots are a tall below knee design that have aquasure waterproof breathable membrane that helps prevent perspiration. This membrane maintains warm feet in cold weather and cool feet in hot weather a pre-moulded foot bed (which is removable) with instep support and a thermo rubber high grip sole. Note from Welligogs: Top drawstring is for mainly visual effect does not require tightening. Fabric Type: All Leather Upper & Nu-Buck.